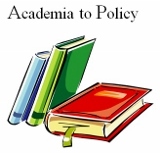 The “Academia to Policy” column seeks to bridge the debate in academia to the adoption of policy in practice. In this inaugural Academia to Policy article, Natasha Somji discusses the challenges present in the translation of academic work to policy. Policymakers frequently turn to academics as consultants, who are able to conduct analysis and provide background when considering how to change existing laws or propose new policies. However, the ways in which academia is translated into politics can be rather problematic. It is often the case that policymakers have little awareness about the tools used in quantitative studies carried out by academics. Indeed there is a need to ‘dumb down’ academia to make it more accessible to the masses. While this is not problematic in itself, if the methodology is flawed, policymakers may be proposing changes that are based on questionable assumptions. Consider Gary Kleck’s and Britt Patterson’s study entitled, The Impact of Gun Control and Gun Ownership Levels on Violence Rates which has been cited time and again in the policy world to justify repealing gun laws. The research finds that gun prevalence and most gun laws have no effect on violence rates.